This attack does 50 damage for each of your Evolution [N] Pokémon in play. It understands human speech and is highly intelligent. It is a tender Pokémon that dislikes fighting. Oops! Yes, I misentered this. 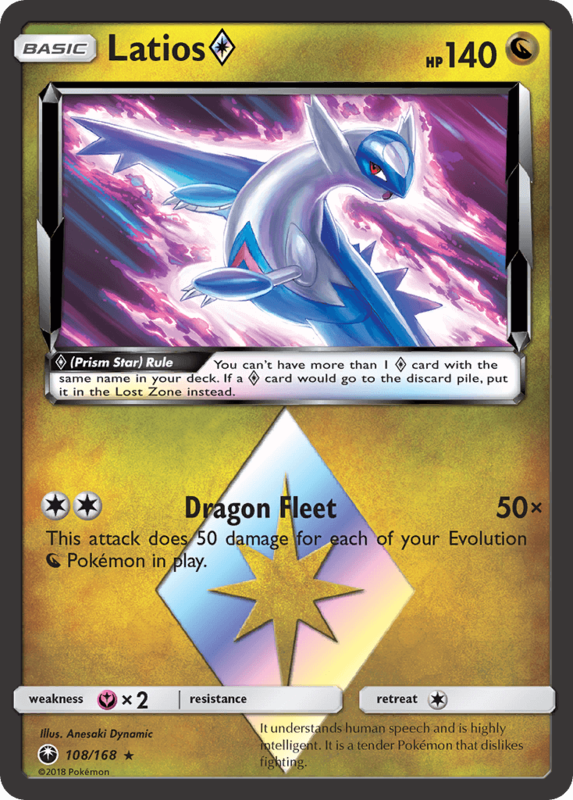 Latios is assuredly a Dragon type, not Darkness. Thanks! maybe it was set as d (Dark) instead of n (Dragon)?